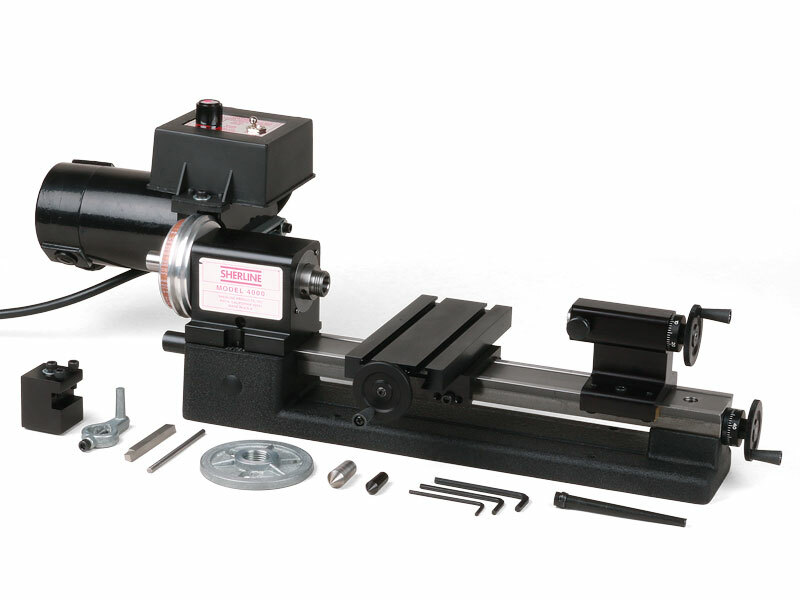 Any Sherline lathe can be ordered with a digital readout installed. Special handwheels with built-in encoders are installed in place of the standard handwheels on the crosslide and leadscrew. 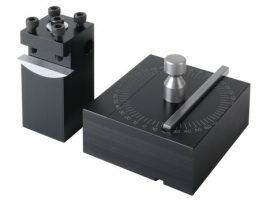 These handwheels are connected to a display box that translates handwheel rotation into a readout of table position to within .0005″ (or .01 mm). In addition, a constant readout of spindle RPM is displayed. 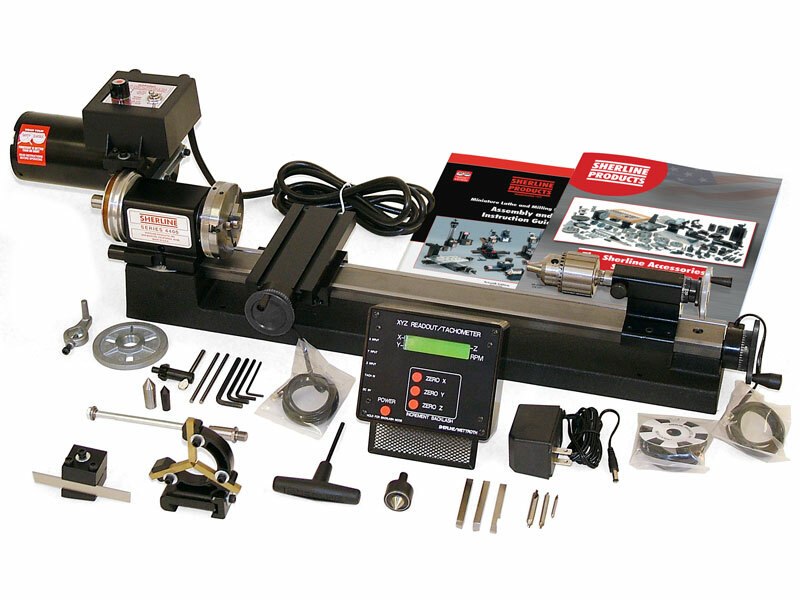 The advantage of a digital readout is that you no longer need to count handwheel rotations when moving distances longer than a single revolution. This helps eliminate math errors. The large, easy-to-read display reads out to 3 and a half decimal places to give accuracy to within .0005″. The display for each axis can be reset to zero at any time with the push of a button. Backlash values can be set for each axis in the programming so that backlash is electronically eliminated when changing direction of handwheel rotation. 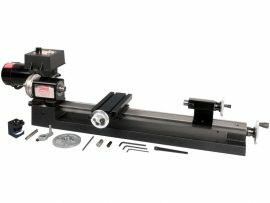 A third axis is available on the display box should you later decide to add a vertical milling column or use it on a Sherline 3-axis mill.The readout can function with inch or metric lathes. 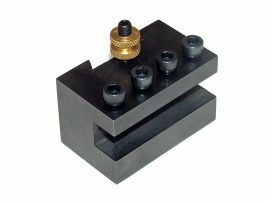 In the metric mode, the position reads out to 1/100 of a millimeter. NOTE: The unit does not translate dimensions from inch to metric. 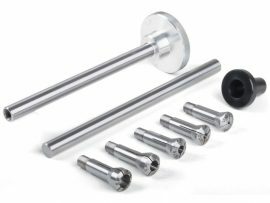 It must be initialized to work with the pitch of the leadscrew to which the handwheel is attached. 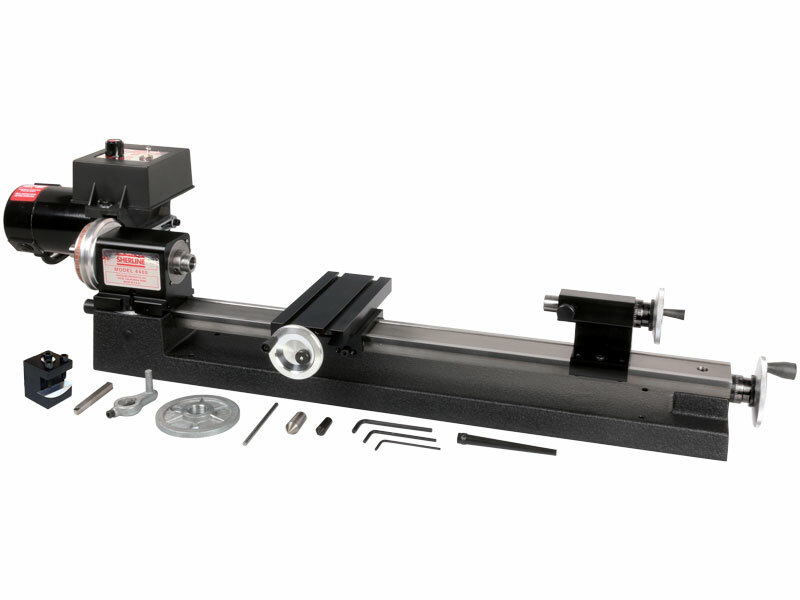 Similar to the XYZ bases for our mills, you can now order the lathe without the headstock, motor, or speed control. Please see the selections in the drop down menu above. 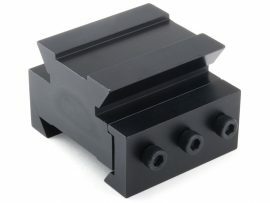 Call for replacement parts for this item.